Hi. We just finished up our PPT Pitch Deck. I thought I would get it out over the weekend. We have been working with this robot for about 7 years in concept. I have used it for a couple other ventures for fun and I thought I would bring it back here. It was named after another Cooper we know. 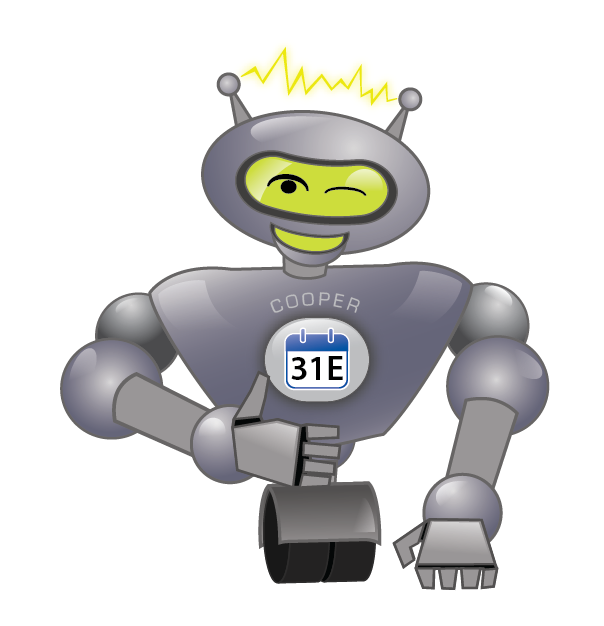 Welcome Cooper the Calendar Robot to the 31 events team. 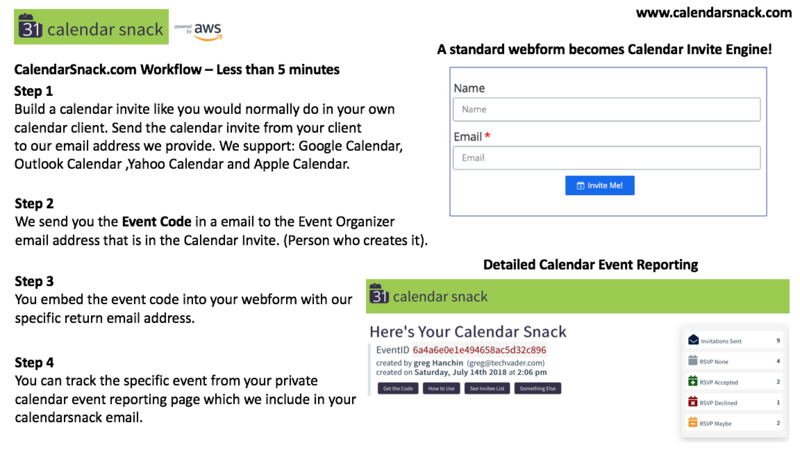 So every marketeer needs their own Calendar server for tracking of calendar invitations for one off events.. Arnie released the quick-start guide with detailed workflow on CalendarSnack.com. 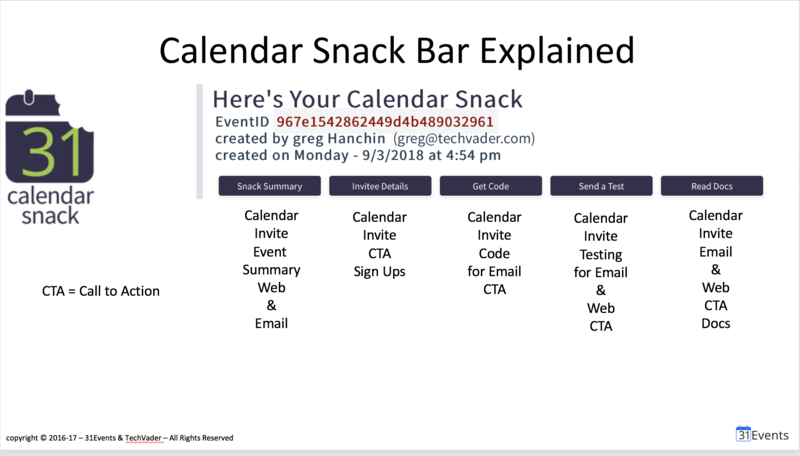 The setup is about 8 minutes the first time using your own google calendar client. 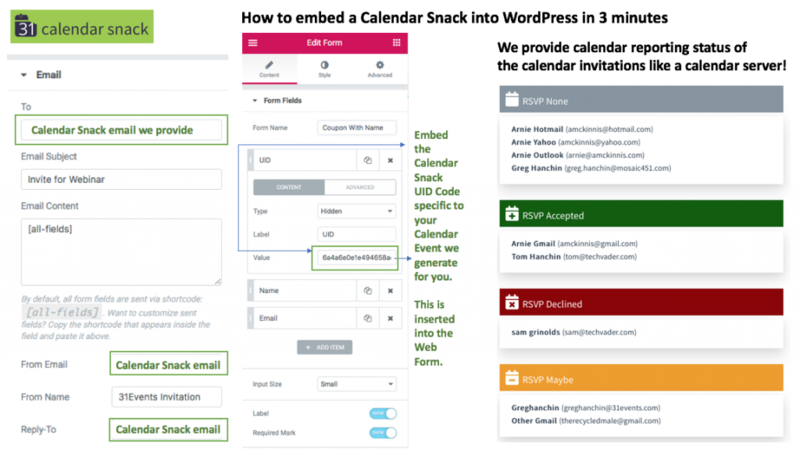 We are working on Outlook as a calendar creation tool and are close for release in less than 30 days. If you have questions – please hit the Drift agent on 31events.com and we will get back to you. For more on the detailed documentation please see here. Ok – Arnie developed this for some quick dialog internally and I thought I would share with you. 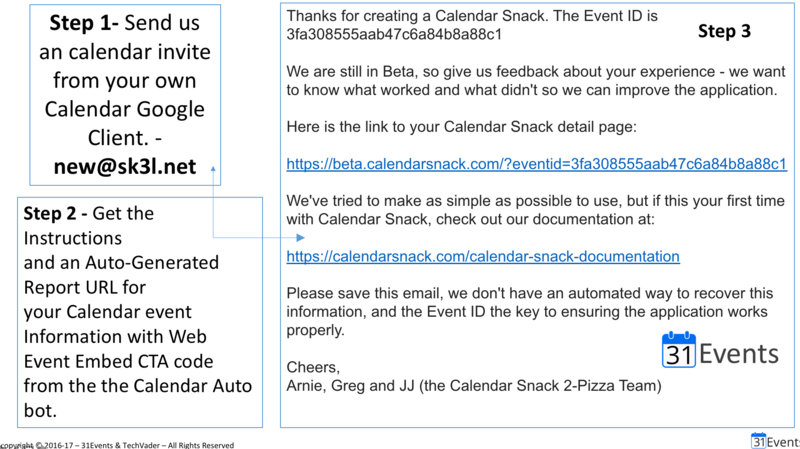 We have the Google Client for the Calendar working as a creation for events. We consume the Google Calendar invitation when you send it to our prepared email address – and re construct it (yeah I know – murder you say) and prepare it for a send based on the Scheduling request in the IETF specification to make the Calendar Client “POP” in the interface and ask you if your are a Y, N or a Maybe for the Web embedded form off your website . See below of the support list for beta. 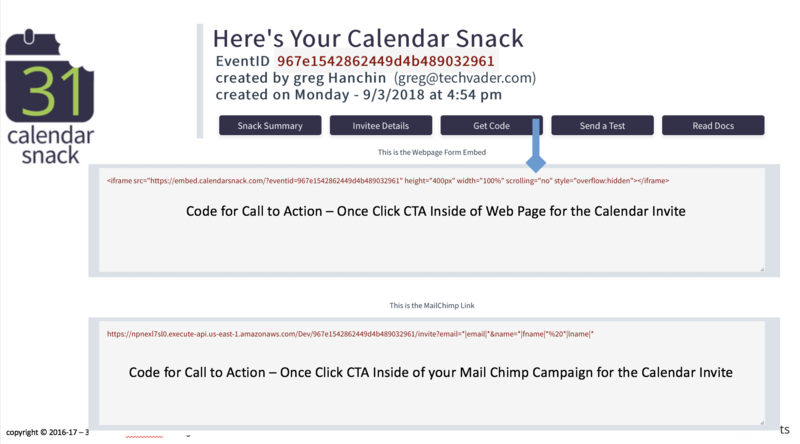 We track all of this on the back with our Calendar Reporting engine. 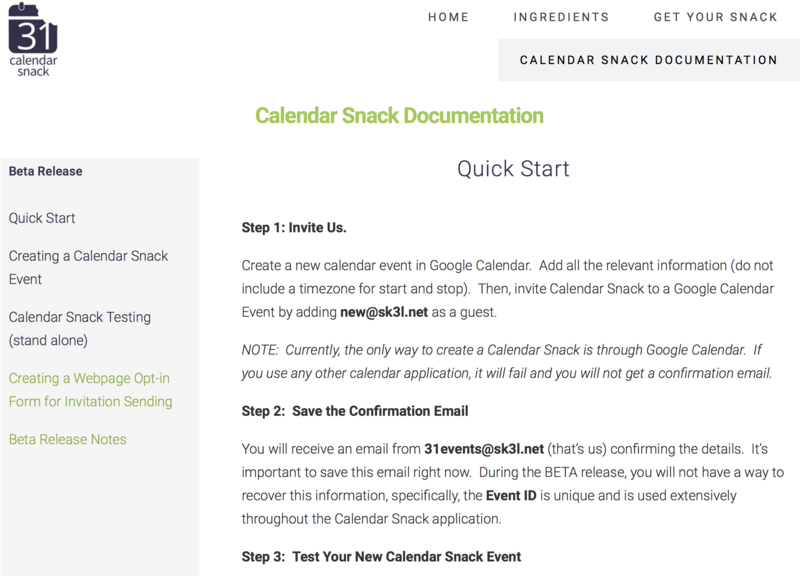 Note this address in the Calendar Snack page will be updated on August 10th or before with the correct live address.